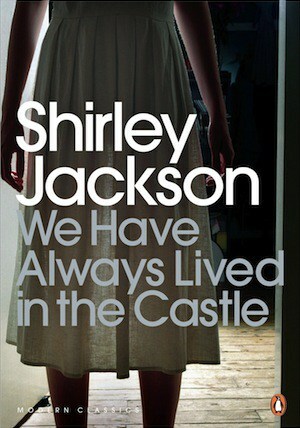 I recently read We Have Always Lived in the Castle by Shirley Jackson as part of a bloggers book club that I'm part of. I tried to read it back in August but couldn't get into it, but once I got used to the style I found it really engaging and read it quickly. I can see how Jackson was an influence on Stephen King, because the kind of claustrophobia that King writes so well is found here as well. The heroine of the story is Mary Katherine Blackwood, a troubled 18 year old who lives in a big house on the outskirts of a small town. She lives with her sister Constance and their uncle Julian, who is quite disabled and who needs a lot of care from Constance. The rest of the family are dead, poisoned by arsenic in the sugar bowl six years earlier. Constance was charged with their murders but was acquitted at trial and since then, she hasn't gone further than the garden. Mary Katherine, aka Merricat, goes down in to the village twice a week to buy groceries, and while she is there must put up with the stares and hatred of the villagers, who taunt her with a song about the murders and who are resentful because the Blackwoods blocked off their land. Mary understands that her family were hated and that she is a pariah. Back in the house, Mary feels a change coming, and has several rituals that she undertakes to try to protect herself. But then cousin Charles turns up and nothing will ever be the same again. I don't want to write more about the story because I don't want to spoilt it. I think it's a really well-crafted story with really creepy parts. I think that teens who are into something like Stephen King, or the TV show Stranger Things, would appreciate this book. It's a great short novel. I'm giving it 9 out of 10!